Title:T & B TRUCKING v. TERRY PIGUE, ET AL. Title:CAROL MOONEY, ET AL. v. GENUINE PARTS COMPANY D/B/A NATIONAL AUTOMOTIVE ASSOCIATION INC. ("NAPA"), ET AL. 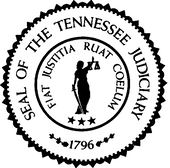 Title:RAYMOND GIBSON v. SOUTHWEST TENNESSEE ELECTRIC MEMBERSHIP CORPORTATION, ET AL. Title:STEVEN J. THOMAS, ET AL. v. JEFFREY M. THOMAS, ET AL. v. DELMUS L. THOMAS, ET AL. Title:IN RE LATRINA M., ET AL. Title:JEAN DEDMON v. DEBBIE STEELMAN, ET AL. Title:PRESTON GILLILAND ET AL. v. JOHN KELLY COOK ET AL.